Compassionate Care Animal Hospital (CCAH) is a full-service animal hospital located in Ann Arbor, Michigan. We are dedicated to providing the highest quality of care for your furry family members. Our Fear Free methods and our compassionate staff look forward to making your pet’s visit to the vet a positive one! At CCAH we are committed to making your pet’s visit a pleasant one. Click below to learn more about the methods our Fear Free Certified staff use to alleviate fear, anxiety, and stress for your pet. Spirit’s Legacy Fund was created by Compassionate Care Animal Hospital to help families and their pets. As a 501(c)3 organization, all donations are tax deductible and 100% of the money donated is used for patients’ medical expenses. 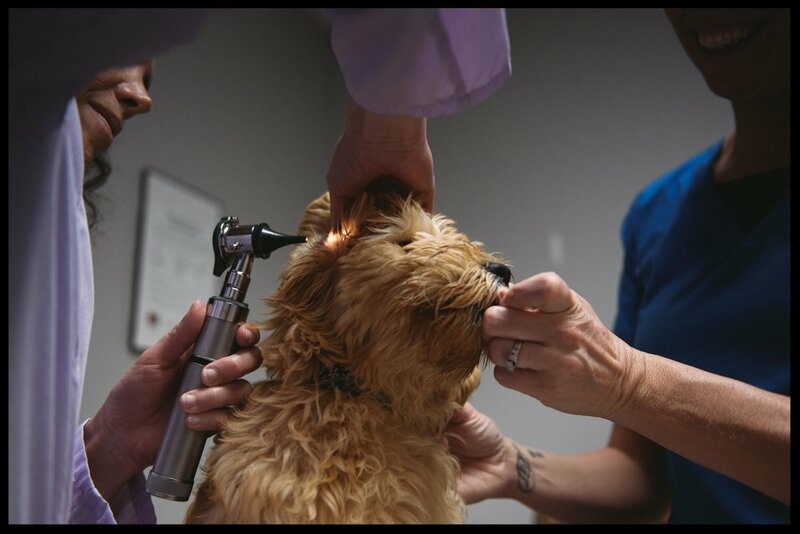 From an annual check-up to urgent care, surgery or dental services, the knowledgeable team at CCAH can diagnose and treat your pet’s medical conditions to maintain their health and wellness. We recognize that pets are family members who touch your lives in loving and meaningful ways. We put our passion for our profession into the skilled and compassionate care your pet will receive, along with our desire to ensure your pet's health and wellness over their lifetime. Special events at CCAH, helpful information and more! Stay up to date on what's happening at CCAH. At Compassionate Care we understand that dog training has a direct impact on your relationship with your canine companion. The bond formed through proper training will give you confidence and build trust between you and your dog, which ultimately results in an obedient and happy pet!